University Hospitals of Leicester NHS Trusts hosts a number of clinical placements for GP Specialty Training Registrar (GPStR) from the LNR GP Specialty Training Programme. Trainees will be placed with UHL during their ST1 & ST2 years, with ST3 being solely in General Practice. Clinical Supervisors play an integral role in supporting and assessing GPStR’s during their time at UHL. Like all junior doctors in Medical Training, GPStR’s have a curriculum which they must demonstrate they have achieved during their training programme. The RCGP provides detailed information on its curriculum ‘Being a GP’ on its website. The trainees are given access to the RCGP ePortfolio at the beginning of their ST1 training year. The ePortfolio is hosted on by the RCGP website but can be access through https://gpeportfolio.rcgp.org.uk/Login.aspx. The RCGP have provided a user manual to support Clinical Supervisors with using the ePortfolio. The CbD tool has been designed to be used in both hospital and GP settings. CbDs can be carried out by approved GP trainers, or educational supervisors or in hospital those who are ST4 or above and have met the GMC assessor requirements. The discussion is framed around the actual case rather than hypothetical events. Questions should be designed to elicit evidence of competence: the discussion should not shift into a test of knowledge. The supervisor will aim to cover as many relevant competences as possible in the time available. It’s unrealistic to expect all competences to be covered in a single CbD, but if there are too few you won’t have sufficient evidence of progress. It’s helpful to establish at the start of the discussion which competence areas your trainer or supervisor is expecting to look at. The trainer or educational supervisor records the evidence harvested for the CbD in the Trainee ePortfolio, against the appropriate competences. It is recommended that each discussion should take about 30 minutes, including the discussion itself, completing the rating form and providing feedback. More information can be found on the RCGP Website here. The Clinical Evaluation Exercise (miniCEX) assesses clinical skills, attitudes and behaviours in a secondary care setting. It’s one of the tools used to collect evidence for the Trainee ePortfolio. The miniCEX provides a 15-minute snapshot of how you interact with patients in a secondary care setting. Each miniCEX should represent a different clinical problem, and you should have drawn samples from a wide range of problem groups by the end of the speciality training years one and two (ST1 and ST2). The miniCEX may be observed by a staff grade doctor, nurse practitioner, clinical nurse specialist, an experienced specialty registrar (ST4 or above) or consultant. 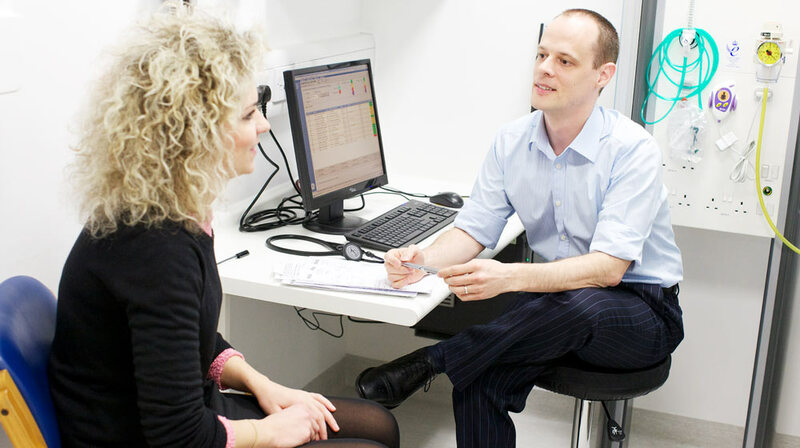 The observer should not be a peer – a fellow GP trainee or specialty trainee at a similar stage in training. The Clinical Supervisors Report (CSR) is a short, structured report from the clinical supervisor in each hospital post. Recorded in the Trainee ePortfolio, CSRs form part of the Workplace Based Assessment (WPBA) component of our MRCGP membership exam. The CSR will be completed by the named clinical supervisor (usually a consultant in the specialty), after they’ve reviewed all the evidence relating to your post (including the mandatory WPBA tools, ePortfolio log entries and feedback from staff and colleagues). All sections of the CSR form need to have text entered. In particular, the ’Comments/concerns’ box is a very important way of giving feedback to the educational supervisor and should be used for each area of competence. The final feedback box is used by the clinical supervisor to provide further information, or recommendations to help either you or your educational supervisor. The CSR is one of several sources of evidence used by the educational supervisor to reach a judgement about the trainees progress. But while it’s designed to provide useful structured information, it’s no substitute for dialogue between the clinical and educational supervisors. Ideally, the supervisors will confer at the beginning of your attachment to plan educational objectives for the following six months and identify specific learning opportunities within the post. The CS should also make contact before completion of the CSR – or prior to completion if they have any concerns. The trainees need to agree dates of when they will conduct their MSF with their trainer or supervisor, and set aside time discuss the feedback generated after the closing date. Trainees are required to complete two cycles of MSF during ST1 and two cycles in ST3.